For all you optimistic investors out there, the housing market in Florida showed significant improvement during the month of August. Closed sales increased, median home prices have risen, there are more sales pending, and a nice reserve of homes available for sale. 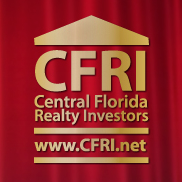 The data, which was released by Florida Realtor’s, could help build consumer confidence for 2014. Compared to last year, closed sales on existing single-family homes in Brevard County rose by about 11.5 percent, while median prices of the homes sold grew by 13 percent to $130,000. What’s more, these rising numbers are being overshadowed by market reports from South Florida, where increases have been closer to 25 percent in the last year. Just to be clear, the median price is the middle point where half the homes sold for more, and half for less. 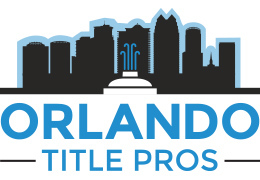 Leading analysts for the housing industry also noted that sales (in particular all cash sales) of foreclosures and others being advertised for sale by their mortgagee are keeping the median price of homes lower, since they tend to sell at a discounted price below market value. If you were to look at the number of townhouses or condos sold, totaling in upwards of 9,400 units just last month, they are now 6.3 percent higher than they were in August of last year. At the same time, pending sales for new condos and townhomes last month jumped up 11.6 percent year-to-year. Across the entire state of Florida, the median price for townhouses, condo, and other units was at $130,000 (a 25.2 percent increase from a year ago). The National Association of Realtors (NAR) have reported that the country-wide median price for existing condos was $209,600 in July 2013. As mentioned earlier, the supply of homes for sale in Florida was reassuringly well stocked. For single family homes, the inventory was measured at a 5.1 months’ supply during August. Likewise, the inventory for condos and townhomes stood at a 5.2 months’ supply, according to the reports released by Florida Realtors. Along the coastline, sales of townhomes and condos looked good during August as well. Their sales were reported to have jumped up by 15.4 percent year-over-year on Florida’s Space Coast, while the median price increased by 16.5 percent to $108,000. Based on reports from Freddie Mac, interest rates for fixed-rate mortgages were higher than they were at this time last year. Based on a 30-year fixed-rate mortgage, the average interest rate was 4.46 percent in August 2013, up from 3.60 percent in August 2012. Mid Florida Investment Properties, LLC owner Mike Calvert has been buying and selling real estate in Central Florida for over 10 years. Get a seasoned investor as your partner for a fraction of the profit. 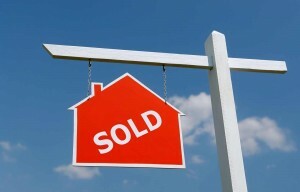 We handle the transaction from start to finish!